CARD FRONT BUILDER THINLITS – the new ‘must have’! Have you met your new best friend yet? I’m talking about the Card Front Builder Thinlits – a fabulous, easy way to add WOW to your card fronts, of course! Best news – you don’t have to wait until the Holiday Catalogue on September 1st – you can preorder them NOW! 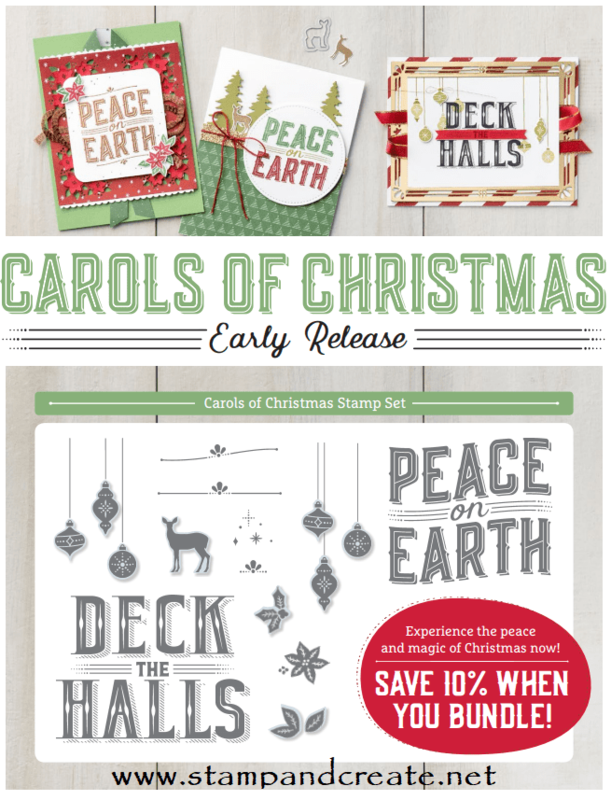 Even better news – BUNDLE them with the Carols of Christmas stamp set, and save 10% off the combined price! The awesome thing about these thinlits is that some of them coordinate with the Carols of Christmas images, and others can be used on their own. 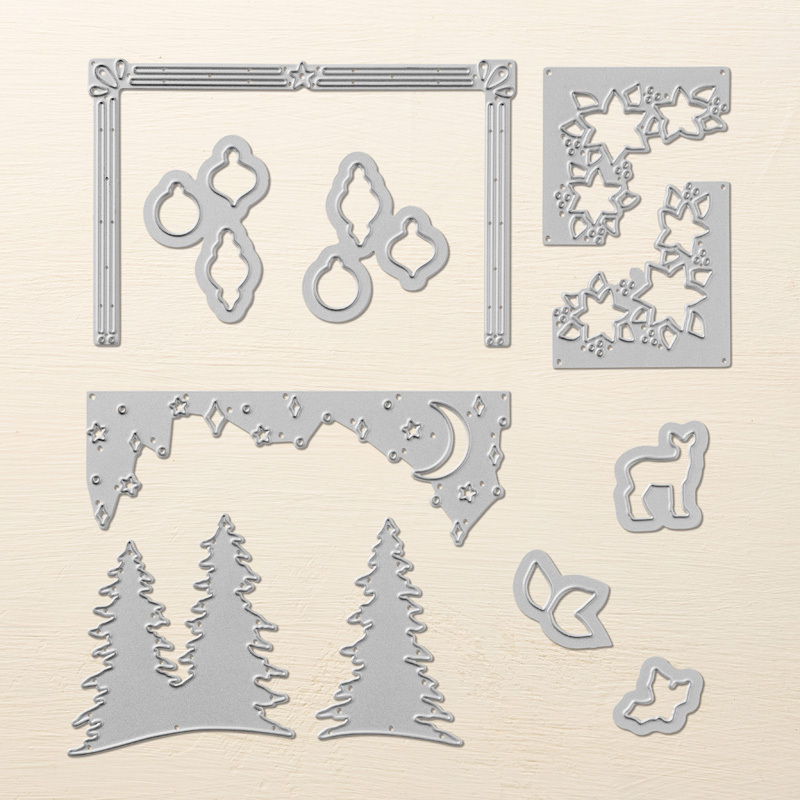 And you don’t just have to build card fronts with them, either! Create your own panels, embellishments and focal images for your your cards and memory keeping. All you need is your Big Shot, and imagination! For this card, I used the 2 corner pieces that (I think) look like flowers to create my front panel. There are a lot of layers to this card – I *may* have gotten a bit carried away! Using the Big Shot with a Whisper White cardstock panel, I ran the 2 corner pieces through twice; first for the top corners, next for the bottom corners. Then I stamped the sentiment from the Carols of Christmas stamp set in Cherry Cobbler ink in the middle. 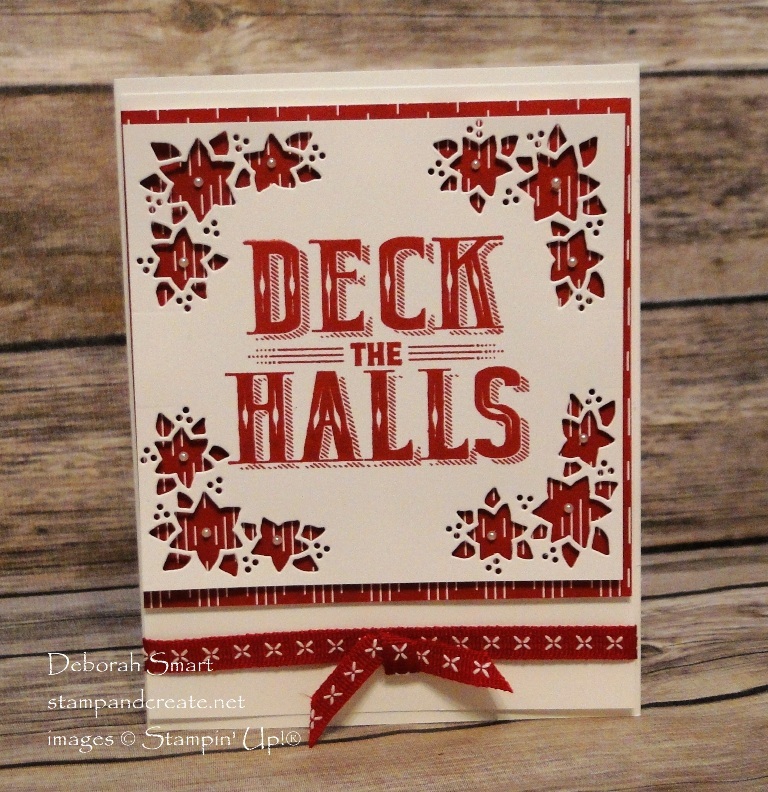 Next, the die cut panel is attached to a panel of Be Merry Designer Series Paper with Stampin’ Dimensionals. Then, it was attached to another panel of Whisper White cardstock. I wrapped a length of 1/4″ Double Stitched Ribbon in Cherry Cobbler around the bottom, and added a tied knot in the middle. Finishing off the card are the smallest of the Pearl Basic Jewels in the middle of each of the flowers. 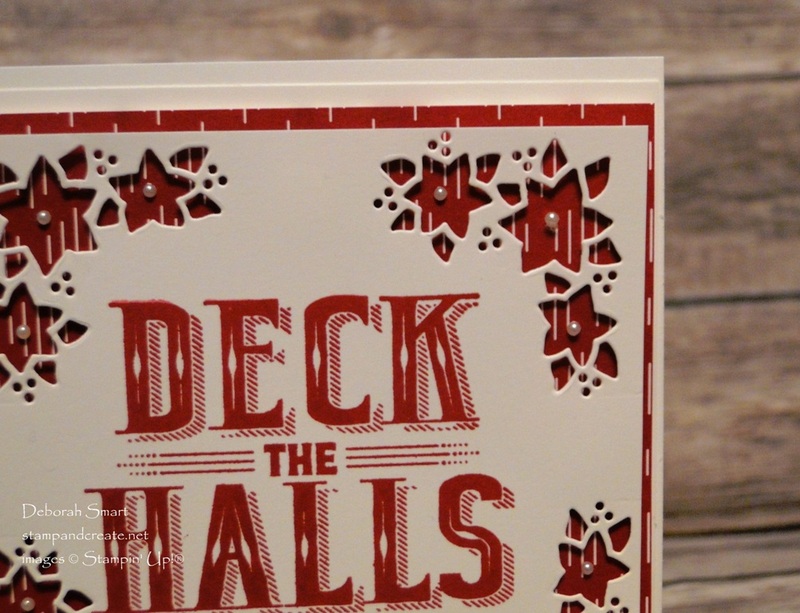 Get a head start on your Christmas and holiday cards by ordering your Carols of Christmas stamp set and Card Front Builder Thinlits now! Simply click on the images below to order from my online store, anytime, day or night. And as a ‘thank you’ for order while I’m on holidays in Scotland, every order or $25 or more (before tax/shipping) using the HOST CODE NPSAM4B2 will receive a gift from me in September – from the Holiday Catalogue! But you have to order before August 31st to get your gift, and use the Host Code! Previous Previous post: Sightseeing in Edinburgh, Scotland!